Who Has God Called You To Be? Lately, I’ve been wondering if I will ever be who He has called me to be. I fought and questioned what He called me to do for a long time. Being in front of people scared me to death. How could I lead worship? Yet, He placed that dream on my heart, and I’m doing it. I knew there was no way I could try out for my church’s praise team. I never thought I’d make it because I wasn’t good enough. I wasn’t sure who He said I was or trust what He’d called me to. But I made it. Now, a call to ministry. One which requires praying over people. Do I trust He will give me the words. Not my words, but the words He’s written on my heart. The words He knows will help bring breakthrough, freedom, conviction, healing. Countless times in The Bible, we read of men and women just like me. God called Abraham to be the “Father Of Many Nations”. He and his wife were old and she was barren. Moses, a murderer and shepherd, a man who feared other men more then God, was chosen by God, to lead the Israelites to freedom. Rahab, a prostitute, risked her life in the book of Joshua. God picked her to be an ancestor to King David and Jesus. One might look at these and say there was no way God would have a called them. But He did. Before the Earth was formed, God created each one of them (Jeremiah 1:5-10). He had plans for them and a purpose. Who has God called you to be? What dream or calling has He put on your heart? Maybe it’s something He called you to a long time ago and it hasn’t happened yet. Whatever it is, God knows His plans for your life. He gives life to the dead and speaks of the nonexistent things ( he has foretold and promised) as if they (already) existed. (Romans 4:17). You may not see yourself as God does, but He knows what you can do. He knows what you can become with Him working in your life. Will you let Him transform you? Will you believe what He has called you to be? Will you trust Him to carry out His plans for your life? According to C. H. Spurgeon, revival comes from the Latin word “revive”. It means, “to live again, to receive again a life which has almost expired; to rekindle into a flame the vital spark which was nearly extinguished.” Spurgeon goes on to explain in order to be revived, you must still have life. 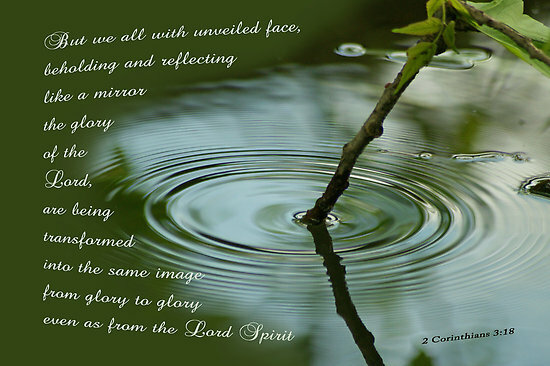 For those of us who are Christians and been baptized in the Holy Spirit, that life is Jesus alive in us. For whatever reason, we have let His life in us grow dim. We have become lukewarm. In this scripture, the prophet Habakkuk is crying out for rival for the Israelites. He has heard of all the great miracles God did for the Israelites and how they responded to God. He realizes the Israelites have grown away from God and deserve God’s wrath, but Habakkuk pleads for mercy and ask God to send revival. It’s the same today as it was then. Turn on the news. You hear of lawlessness, corruption, taking God out of the “Pledge of Allegiance”. Look at your own church, your family, friends. You hear of gossip, slander, division. Even in our own lives we have become complacent. We deserve His wrath, but we can cry out for mercy, for revival. 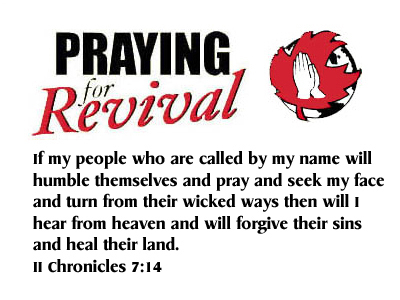 “If my people, which are called by my name,shall humble themselves, and pray and seek my face, and turn from their wicked ways; then will I hear from heaven, and will forgive their sin, and will heal their land.” 2 Chronicles 7:14. I don’t know about you, but this is what I pray for. Holy Spirit, Your are welcome here, come flood this place and fill the atmosphere. Your glory God is what our hearts long for, to be overcome by your Presence, Lord. This is what revival is. To no longer be lukewarm, but to be filled with His presence. To be so full of Him, it overflows into the hearts of others. To be as Spurgeon says a stone dropped into a lake and “the ring widens continually, till the farthest corner of the lake feels the influence.” For revival to come, it has to begin in us, then our families will experience it, our churches…our nation. Will you join me in prayer today. Father, we long for you. Forgive us for our complacency, for settling, for being lukewarm. Forgive us for turning from You. Oh, Father, let your Holy Spirit come and fill our hearts, let us experience You in ways we never have, let Your Glory come and invade our hearts, let it overflow to the ends of the Earth. Let revival come, Lord, first in our hearts. Rekindle the fire within us and let a Holy Fire for You be started. Amen.